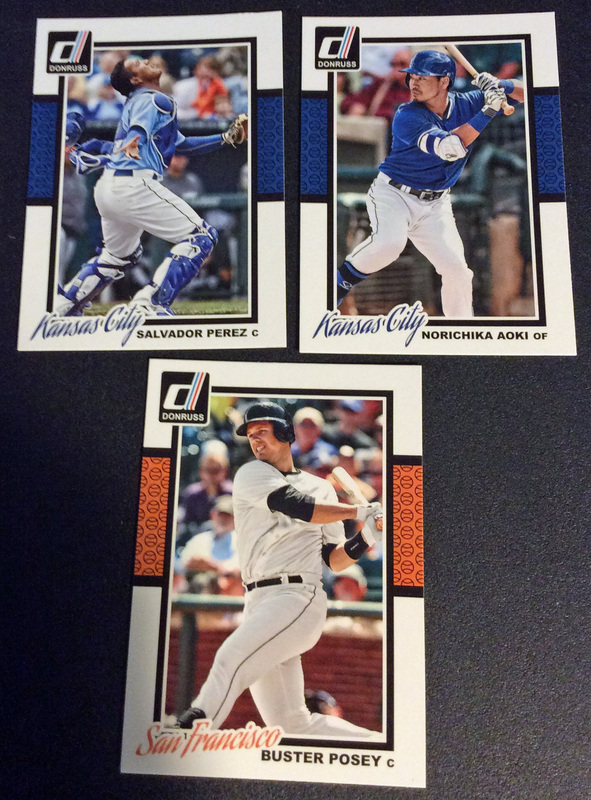 I may not have found any Topps Update packs yet, but I did get to open some baseball cards last week. 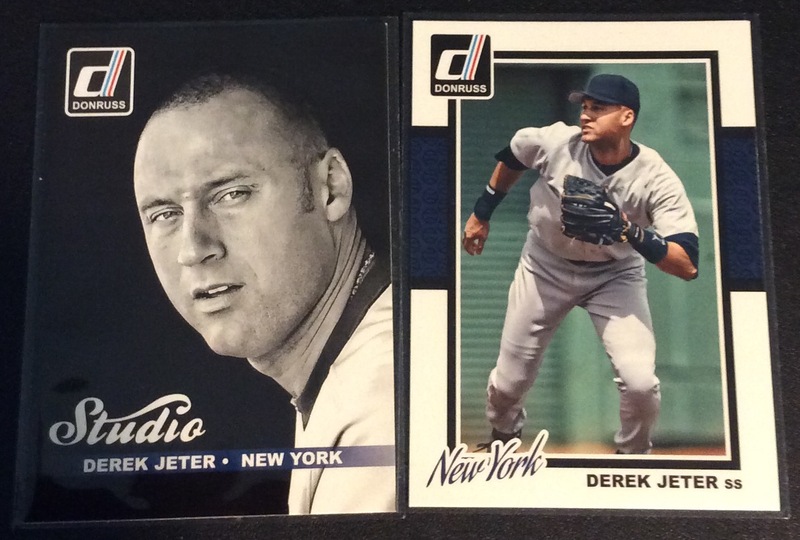 One of my friends gave me a couple of packs of Donruss Series 2, and I have to admit that the set is growing on me. 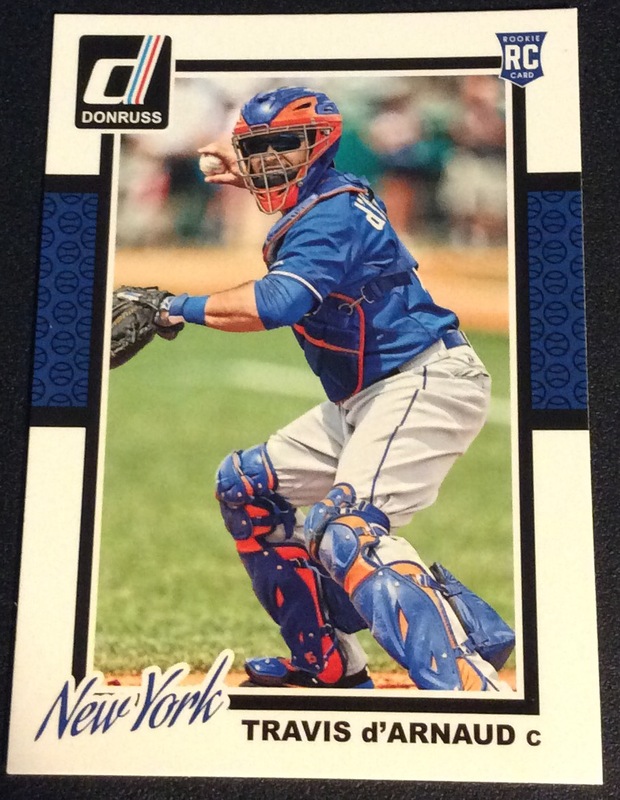 I did pretty well – I ended up pulling Travis d’Arnaud, the only Mets player in the 100-card base set. 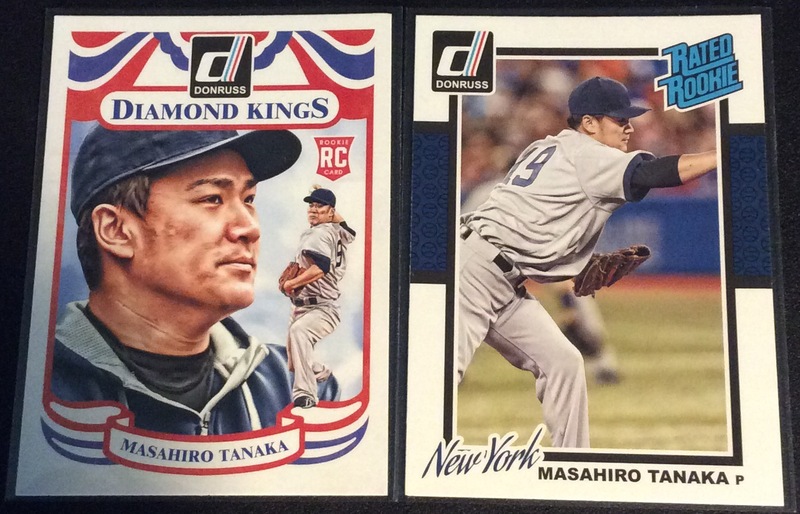 I also found Masahiro Tanaka‘s Rated Rookies and Diamond Kings cards – in the same pack. I normally don’t get that excited about Yankees cards, but I really enjoyed watching Tanaka pitch this year and these are his first baseball cards that have landed in my hands. 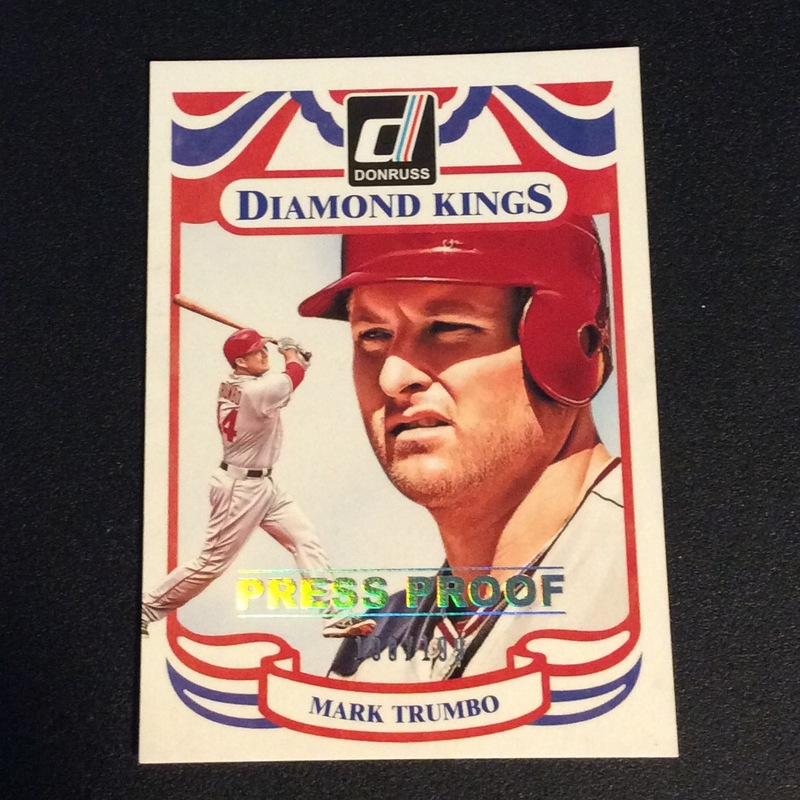 Panini’s lack of a license to show Major League Baseball logos hurts the Rated Rookies card, but the Diamond Kings card works for me. 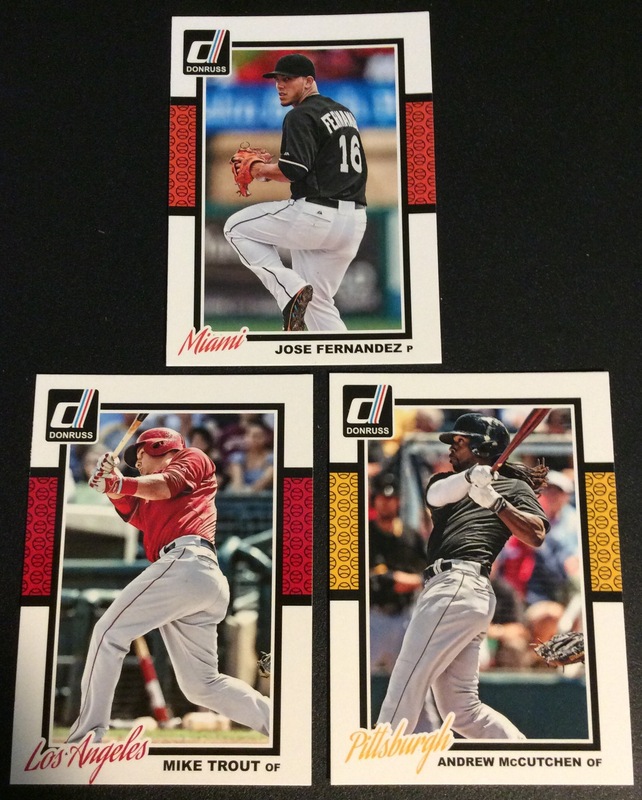 Other stars included Mike Trout, Andrew McCutchen and Jose Fernandez. And since we’re waiting for the Wild Card World Series to start up next week, how about some Kansas City Royals and a San Francisco Giant?